This topic contains 6 replies, has 2 voices, and was last updated by Luke Tierney 2 years, 2 months ago. I am starting this thread to discuss some of the beautiful 20th century residential architecture in the Kingsbridge/Spuyten Duyvil/Riverdale area. I can start this off by talking about the apartment building I live in. I live in the Villa Rosa Bonheur (see my profile picture for an image of it). It was designed by Robert Garner, the same architect as the more famous Villa Charlotte Bronte. The building’s namesake was a notable French painter whose most famous painting is known as the Horse Fair (you can see it at the Met, it’s huge). The building was designed, like the Bronte buildings, to hearken back to a simpler, more rural time. The architect worried about the expansion of what he saw as “the city ugly”, and hoped that Spuyten Duyvil could serve as a refuge. Both of these buildings pre-date the Henry Hudson Bridge, and serve as a charming contrast to the large high-rises for which the area is best known. If you live in an interesting house or know of one, please share! Thanks for the info. I always wondered about that place. It really stands out as pleasing architectural landmark in an area surrounded by “the city ugly.” I am not sure if the house I live in is notable but I did learn one interesting fact about it. 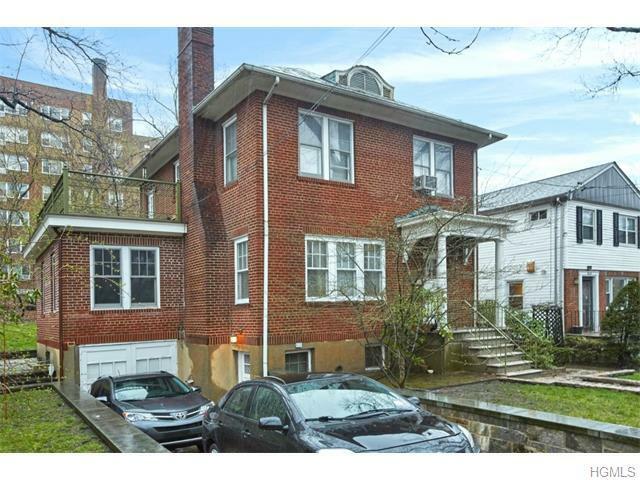 My landlord is only the second owner of this single family home on Arlington Avenue. According to him the first owner was Mary Lydon, whose son had it built for her in 1930. What’s interesting about that is that her son was Gene Tunney, the heavyweight champion of the world from 1926 to 1928. Do you think that we could do some stuff about the estate section of Riverdale here? There are certainly a fairly high number of notable older houses there…..
We could definitely do stuff on the estate area. But I thought you’d get a kick out of this photo depicting some of the original old mansions in your neighborhood of Spuyten Duyvil Hill. These places were not only gorgeous homes but had incredible views of the creek and river. Here is the link to a high-resolution version. Wow! It’s incredible how different the area was. Wouldn’t mind one of those houses myself…. I wonder if these houses helped inspire the people who built the building I now live in. They were part of that conservationist city ugly movement that wanted to avoid NYC’s urban nature but still enjoy somewhat convenient access.